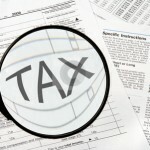 HR Block is a company that deals in tax preparation based in U.S. The company has offices in many other countries with one of its locations in Saint Paul MN. The company also puts forward business consultancy services, along with personal finance services and banking services as well. Richard Bloch and Henry W. Bloch founded the company in the year 1955, and now the company operates more than eleven thousand retail tax offices spread across different locations and almost seventeen hundred offices in other countries. Consumers can also avail of online electronic fining and tax preparation services offered by the company via its official website. There are currently 0 consumer reviews about H & R Block available. Share your review. Please take a note that you are about to post a public review about H & R Block corporate office on CorporateOffice.com. This review will be public, so please do not post any of your personal information on this website. If you would like to contact the corporate offices of H & R Block, please use their contact information such as their phone number, website, and address listed above to contact them. However, sometimes staff from H & R Block headquarters do read the reviews on this website.